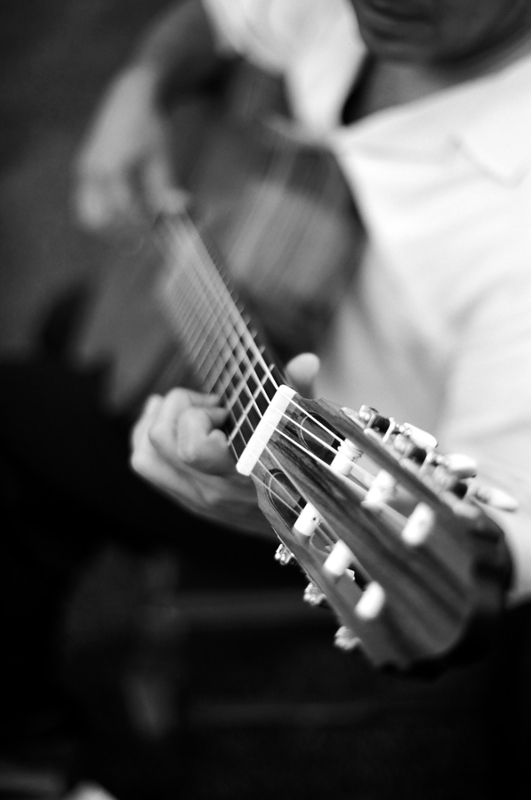 Guitar Blog: Is learning guitar at school a good idea for your child? Is learning guitar at school a good idea for your child? Many parents receive a note from their child's school offering guitar lessons at their school. This will seem appealing because it's convenient and won't require them to be driving their child to and from lessons. My personal observations show that students who learn outside of school almost always do better for a very good reason. A critical factor in a child's success on guitar is whether or not they have a parent assisting. Children need help with practice especially in the early months. What I call the critical make or break period. When parents are involved by being present at the lessons parents learn how to assist their child. Parents don't have to sit in on every lesson but they do need to interact with the teacher and understand their role. When children learn during school parents rarely have the opportunity to be involved so their child is left to their own devices and the result is that children who learn at school are more likely to give up. Some parents will try school lessons to see if their child takes to the guitar before enrolling them outside school but this is also a big mistake because parent involvement is most important in the early months. To really give your child the best chance of success on guitar I recommend booking in with a professional teacher who involves at least one parent from the very first lesson. When a teacher or situation does not allow parents to be involved its better to wait until you find a teacher who invites parent involvement because those early lessons usually decide the long term outcome. In my experience a child's success is dramatically increased with parent involvement in the early months especially.